The most recent Collective Bargaining Agreement ushered in a new financial era for the NHL with the inclusion of a salary cap. Chief among its purposes was to level the playing field so certain organizations wouldn’t be able to parlay ownership’s deep pockets into a competitive advantage on the ice (here’s looking at you Toronto). Thus, management groups have to undertake a back-to-basics approach by building their teams through the draft and by developing prospects in-house. While the salary cap hovers over the head of each general manager and acts as a constant reminder to spend wisely, many still shell out their shillings with a carefree attitude better suited for Wall Street. With the salary cap presenting financial challenges for general managers everywhere, although they do attempt to circumvent the rules at times (ahem, Mr. Lamoriello), building a championship-caliber squad has become a very inexact science. You still need the main ingredients such as scoring, defense and goaltending, but you also need grit, depth, affordable contracts and young talent ready to make an impact. A little luck doesn’t hurt either. With all this in mind I set about creating my own “dream team” in the salary cap world with a few caveats. Naturally, the sum of the contracts of the 23-man roster would have to check in under the $64,300,000 limit in place at the present time. When selecting players for my team, I could take no more than one player per NHL team. Furthermore, I could take no more than two players from the same draft. In that case, said players were not allowed to be selected from the same round of the corresponding draft. The cap hits represent the 2012-13 cap hits so upcoming free agents, both restricted and unrestricted, were unavailable for selection. So long Zach Parise and Shea Weber, amongst others. Finally, only one undrafted player would be eligible for selection. The temptation is to load up the team with superstars and plug the holes with affordable role players in order to stay within the confines of the cap limit, however the emphasis was on building a well-rounded team with depth. That said, while there is certainly an abundance of talent on this “dream team”, each player provides a certain service and fulfills a specific role on the team. Here’s how my salary cap “dream team” shapes up. *Note: Players appear in order of their position on the depth chart. After Giroux’s season, and first-round performance against hated rival Pittsburgh, this was an obvious selection. Giroux represents the offensive cornerstone on this team and his cap-friendly hit is one of the best bargains in the NHL. Jonathan Toews was considered from the 1st round of the 2006 draft class, but recent injury problems have been a concern. 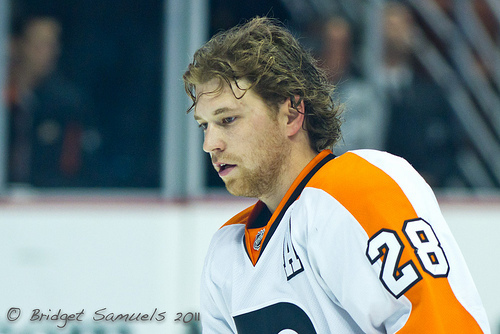 Giroux’s penchant for setting the tone offensively is an invaluable asset. When you consider Tavares’ 31 goals and 81 points last season were accumulated on lowly Long Island, you can only imagine the lofty heights he might reach on a team such as this. Tavares is no doubt a number-one centre, but with some NHL teams having the luxury of icing top-tier centres on their first- and second-lines, slotting him behind Giroux on the depth chart provides the team with scoring potency that only few teams could rival. Fresh off the heels of a career-year offensively, Filppula gives the team a plethora of options and an abundance of flexibility in terms of how he can be deployed. The offensive improvement is notable, but his selection was made with the responsible, two-way game he’s capable of playing in mind. Having a player on the third-line that can move up on the depth chart in case of injury, play both the centre and wing positions, and contribute on special teams is rare commodity. He might not see the ice-time he’s used to, but he’s a key cog in the machine. The consummate team player, Belanger is one of the veterans on a rather young team. There are options for the fourth-line with a lesser price tag, but Belanger’s skill-set is exactly what the team needs from a depth player. Physical play and face-off ability are Belanger’s most notable contributions, but he can also chip in offensively providing oh-so-important secondary scoring. A stalwart on the penalty-kill, Belanger is the role-player every team needs. With four consecutive 30-goal seasons under his belt, Bobby Ryan’s inclusion on the team was made for his goal-scoring prowess. A big-bodied winger that will provide physical play on the first-line, Ryan will be the perfect complement to Claude Giroux and Loui Eriksson at even strength and on the power play. Ryan is used to playing with skilled players having skated alongside Ryan Getzlaf and Corey Perry, so he should have no problems manning the left wing on the top unit. 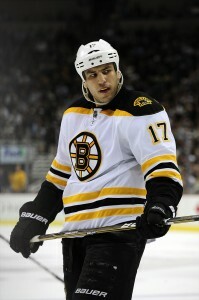 Lucic is capable of scoring goals and contributing on the game sheet, but his most obvious talents lie in his economical use of his massive frame and superhuman strength. Lining up on the second-line with John Tavares and Jeff Skinner, Lucic’s role will be to create time and space for his skilled line-mates, as well as take care of anyone attempting to take liberties with his teammates. His mean streak and physical play adds another, much-needed dimension to this squad. Pacioretty has certainly come into his own since a horrific neck injury suffered at the hands of the gargantuan Zdeno Chara. With size, scoring ability and a little bit of “jam” to his game, Pacioretty is a welcome addition. However, his selection is predicated on the tremendous will and courage displayed during his road to recovery after suffering an injury that could have derailed his career. That type of intangible isn’t easily found and it should serve as an inspiration to teammates. It certainly seems odd to have a fourth-line player cash a bigger check than a more skilled player ahead of him on the depth chart (see Pacioretty, Max), but Chimera’s talents are exactly what are needed on this team, so it is money well-spent. A winger with the combination of size and speed Chimera possesses doesn’t come along very often and his forechecking ability will be welcomed with open arms. His skating ability and hockey IQ also make him a terror on the penalty-kill, where his ability to create turnovers and scoring chances is a bonus for a team as skilled as this one. Arguably the most underrated player in the league, Eriksson goes about his business and scores 70 points like clockwork. At a price tag of $4,250,000, his cost-per-point is one of the most economical rates of return in the league. His ability to contribute in any situation, be it even strength, with the man advantage or on the penalty kill, is an exceptional asset. 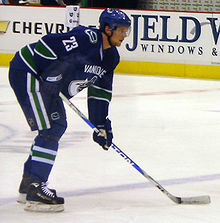 A silent killer, Eriksson will continue to go about his business with Claude Giroux commanding much of the attention. After a trying sophomore season, Skinner may not seem to be the most obvious choice, especially considering some of the peers from his draft class include Taylor Hall and Tyler Seguin. However, Skinner’s price tag is more affordable and playing alongside the likes of Lucic and Tavares on this team means a return to the “30-30 club” is highly likely. A preternatural goal-scorer, this long-overlooked gem should flourish sooner rather than later. A skilled winger that has improved as much as any prospect over the past two seasons, this Swedish Elite League sensation possesses loads of potential and brings some scoring punch to the squad. He projects as a top-6 forward, but plying his trade on the third-line alongside Pacioretty and Filppula will still allow him to put his offensive abilities to good use. Whether he would ever be able to truly realize his potential playing behind Eriksson and Skinner is up for debate, but Silfverberg is the epitome of cheap, young talent many teams look to for secondary scoring in this day and age. Much like Halischuk, Brown is a speedy winger with great puck-pursuit skills. Where they deviate is with regards to physical play, with Brown much more willing to throw his weight around. Another depth player that can contribute on the penalty-kill, Brown also offers some toughness and his willingness to drop the gloves will keep opponents honest. Since he’s prone to injuries due to his style of play, his affordable contract becomes even more important. The sticking point when considering Keith is the term of his contract, which will have 11 years remaining beginning with the 2012-13 season. Nonetheless, when playing up to his abilities, Keith is a bargain at a cap hit of just over $5.5 million. A flawless skater, Keith would be the starting point for the team’s attack moving the puck out of the zone and creating scoring opportunities from the back-end. Keith’s composure stemming from his experience playing on the big stage before during the Stanley Cup and Olympic finals will make him a calming influence. Pietrangelo’s performance this past season showcased a young man on the verge of superstardom. The total package on defense with size, skill and skating ability, Pietrangelo will comprise one-half of a dynamic duo on the team’s top blueline pairing. His offensive ability will be an asset as he quarterbacks the power play and his hockey IQ will allow him to control the pace of the game. Edler is another defenseman who has started to come into his own after scratching the surface of his potential over the last couple of years. Much like Pietrangelo, Edler is a big, mobile defenseman that can contribute at both ends of the rink. What Edler also brings to the table is physical play as he utilizes his sizable frame to his advantage. His offensive abilities will also allow him to run the power play on the second unit. With Keith, Pietrangelo and Edler taking care of the offense from the blueline, Orpik was selected to add some grit and sandpaper. A tough, stay-at-home defenseman that thrives when he plays a physical game, Orpik is the antithesis to the three prior defensive selections. His size and strength allow him to handle the opposition’s biggest and strongest forwards down low and in front of the net, while his willingness to block shots makes him valuable on the penalty kill. Methot is a simple, yet effective player that is rarely noticed on the ice, but that’s a nothing but a compliment. A player that quietly goes about his business and takes care of his own end, patrolling the blueline on the third defensive pairing indicates the depth the team has as he could easily play top-4 minutes. Along with Orpik, Methot adds some much-needed toughness to the defensive core. One of, if not the most underrated player in the game today, Girardi is the poster-boy for defensive defenseman everywhere. Girardi’s hard-nosed, physical game makes him difficult to play against and his shot-blocking ability negates plenty of scoring chances. A heart-and-soul type of player, Girardi will wear an “a” and be looked to for leadership, something his all-out style of play will provide as he leads by example. Is there a better bargain in the league right now? In Quick the team has a Vezina-nominated puck-stopper who continues to improve as he ascends to the top of the goaltending ranks. Proven to effectively carry the load expected of a number-one goaltender, Quick will keep the team in the game night in and night out. With the offensive firepower this team possesses, Quick won’t have to be as perfect as he’s accustomed to, but if he is, he’ll post some even gaudier statistics. 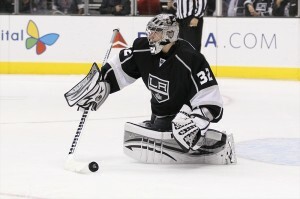 Just as his running mate in the crease Jonathan Quick, Smith represents value rarely found in an age of overspending. Is Smith’s recent run of success an anomaly, or is he here to stay? It’s probably somewhere in between, but as a back-up to Quick or part of a platoon, there are few teams that would be able to rival such a tandem. Perhaps hiring Sean Burke as goaltending coach would help ensure Smith’s performance during the 2011-12 season is repeated. Famous for capturing World Junior gold for Team Canada in overtime back in 2008, Halischuk has embraced his role in the NHL and become a a dependable player as a result. A hard-working winger with great puck-pursuit skills, Halischuk is the unsung hero-type that endears himself to his teammates through his play. Another player willing to get after it on the penalty kill, Halischuk’s versatility gives the team options. While the team lacks a true heavyweight enforcer, Thorburn is a close second. A more physical presence than Bradley, Thorburn is willing to stick up for his teammates and mix it up with the best of them. His durability suggests he can be a productive everyday player, however on a team with this much skill and depth, he’ll likely only see the ice due to an injury. There are few options as affordable as Thorburn, when it comes to physical players, who can step into the lineup without missing a beat though. Demers is another defenseman that isn’t flashy or fancy, but he can get the job done. While not excelling at one particular area of the game or overly physical, Demers can do a bit of everything which is what you need from a defenseman that is in and out of the lineup. On a team with this much depth on the blueline, Demers wouldn’t see much ice time against the opposition’s top lines, so his deficiencies would be mitigated. There you have the salary cap “dream team”, complete with enviable mix of size, skill, grit and goaltending. With cap space of $1,795,706 the team is afforded some flexibility and would be able to explore the option of making changes. Moving forward it’s obvious retaining all of the team’s best players would be impossible, but hey, a guy can dream right?